Customs Officers’ Day in Turkmenistan commemorates the foundation anniversary of the State Customs Service of Turkmenistan. The Service was formed on November 4, 1991, shortly after Turkmenistan had declared its independence from the Soviet Union. It is a state body that implements the state policy in the field of customs regulation, ensures compliance with international obligations on customs issues, and combats smuggling and other criminal and administrative offenses in the customs sphere. In addition to the central office of the State Customs Service, its structure includes the Directorate of Economic Management, a training center, customs administrations in welayats (provinces) and cities that have the status of welayat, customs stations in Turkmenistan and checkpoints at the state border of Turkmenistan, and other bodies. 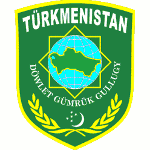 The authority of the Customs Service of Turkmenistan is regulated by the Constitution of Turkmenistan, the Law of Turkmenistan “On the State Customs Service”, the Customs Code of Turkmenistan, and other legislation.